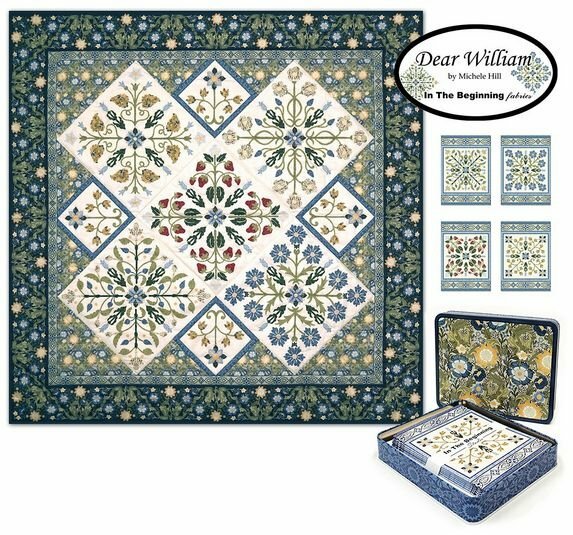 200NC-4 Dear William Note Cards with Quilt Panel by Michele Hill 1 yd. quilt panel (quilt top approx. 34� x 34�) and twelve note cards (4 designs) with envelopes come in a beautiful metal tin.